Don't Go to the Jungle without a Flashlight! If you are planning to visit us or visit anywhere in the Amazon Rainforest or the Guiana Highlands there are some things you should bring so that you are well-prepared and comfortable during your trip. We have many activities that cannot be performed unless you have certain equipment, some items we even recommend like having a spare like a flashlight. The capitol city of the Amazonas political state is nearby (33 kilometers) in Puerto Ayacucho, we travel there one or two times weekly for some basic supplies and frequently go there to the hardware store or to receive packages from Colombia and abroad. Because of scarcity problems in Venezuela we recommend that you do not plan to buy things in Puerto Ayacucho, those arriving via Bogota, Colombia should purchase all their basic supplies and double check their list there. Different outfitters and bloggers have numerous lists and recommendations that vary greatly to do a good job and be best prepared we recommend that you skim over their lists to compare and find your own comfort level for your trip. Here are two alternative lists Backpacker.com and Go Backpacking! We do not follow their advice strictly because we are an ecological village and because we are located in a drier (less humid) region because we are on the Guiana Shield at the entrances of both the jungle and highlands regions mountains to the East and North and jungle to the South. If you are coming as a resident for more than 3 months, we recommend that you take your time and think ahead well. The most important thing is that your pack is lightweight enough to carry your gear for a minimum of 1-2 kilometers without stopping (a backpack should never be heavier than one third of your body weight), your comfort will depend critically on your health and physical condition. Generally visitors will not be required to walk with all of their gear if they are bringing more than they can physically carry except from the road to our lodge (approximately half a kilometer, 500 meters) normally there will be someone with you to help. The following list was compiled based on our visitors most basic needs with their primary lodging at Fundo Ekobius and taking multiple local (within 50 km) adventures and expeditions that can last from 3-7 days. Koala or Belt Pouch sometimes called Fanny Pack (Size 1-3 liters) Optional but handy! Anyone carrying more gear than these three items can expect a surcharge or ought provide a tip when transporting these items in buses or taxis. 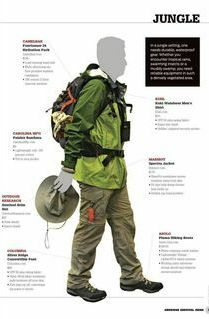 Please provide information in advance of your arrival if you are carrying more than you can physically carry on your own as a backpacker. Braided Utility or Parachute Cord (6-10 meters) Very Handy! Hammock, Mosquito Net, Hanger Rope and a Tarp (Readily Available in Colombia for well under $50 USD) Note: Hammock kits available in Colombia are very comfortable but weigh approximately 2-2.5 kilos (4-5 pounds). 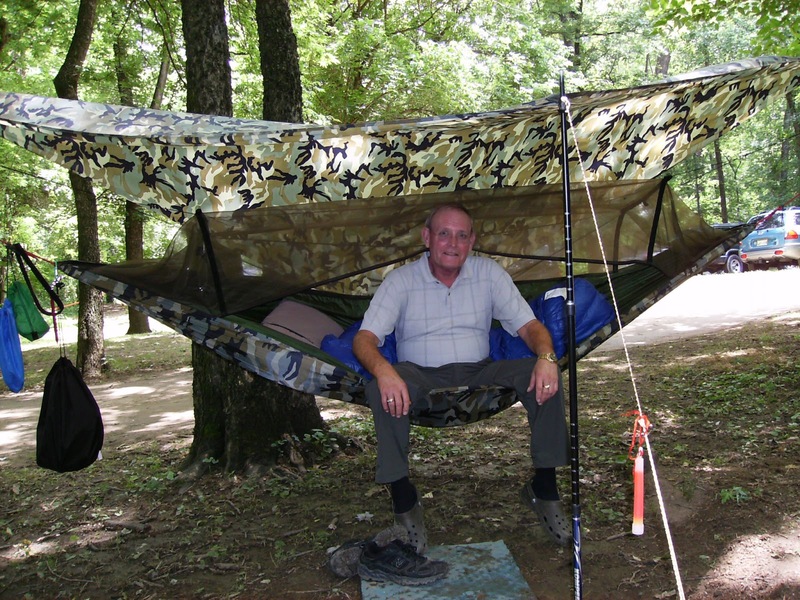 Visitors buying their hammocks in the USA or elsewhere may opt for a fully incorporated solution like the Mosquito Hammock™, there are other solutions too. Sanitized Clean Single Bed or Folding Beds are available for $5 USD per night. We have 3 and are based on availability. Personal Items - Comb, Hair Brush, Shampoo, Conditioner, Skin Lotion, etc. Other Items (Emergency use) - We have a fully loaded first-aid kit, a staff medical doctor and paramedic. Ciproflaxin, Penicillin, Aspirin, Benadryl, Quinine, Neosporin, Water Treatment Drops, etc. Vaccinations and Health Insurance (If you have a condition that requires you to have travel insurance or health insurance while traveling; or if you want to have travel insurance is your right and option. Most people that come do not have travel insurance, but if you do and depending which country you enter your provide may require certain vaccinations to be made and up-to-date. Travelers can get from any competent medical doctor in the United States or Europe 'a yellow international vaccination card' indicating their vaccination dates. There is no need for this card currently in Venezuela but it is required to enter Brazil. In Venezuela there are some minor malaria hotspots in populated rural areas, good repellent will defend against this or travelers can take prophylactic medications. Currently and recently there have been no malaria or yellow fever alerts or severe epidemics in Venezuela, there have been epidemics in some isolated areas affecting up to 1% of the population. The good thing about malaria is that it is relatively easy to cure (if the strain is not prophylactic resistant), we recommend that all people bring but not necessarily take prophylactic treatments unless necessary because they are hard on the system. Save Money (Buy some of your gear, foodstuff, snacks and supplies in Colombia 30-50% less than the USA, Europe and most of the modern world.) By late January we are planning a reception office in Colombia for the convenience of our visitors and for our international exchange program. Things that you do not need to bring because we provide them or are too dangerous to carry. Do not bring contraband or illegal items such as marijuana unless you are really well-experienced and confident, if you do choose to carry or bring contraband items you should carry a fund to pay your way out of your unforeseen incidents most officials are lenient and understanding with tourists. These recommendations are provided a guideline and for your safety. Some recommendations are based on my personal experience and others have been modified or updated for practical purposes. *Our documentation and checklist requirements vary depending on whether or not the members arriving are long term or short term visitors, anyone who will potentially stay permanently or for a period of more than 90 days should bring marked items. Other items you may want to bring may include gifts for the native indigenous peoples living nearby and with us. Many come to explore and know indigenous peoples and their cultures, some people come for the high-energy water, solitude and to detox or spiritual cleansing so they often bring items relative for these activities. Visitors have also brought things like scientific research equipment, butterfly nets, fishing equipment, skin diving equipment, art equipment, books, and other items. Feel free to write us or call if you have questions. There is no hunting of animals except for subsistence when you are on outdoor hikes. Visitors are not permitted to carry firearms or crossbows. However visitors may bring archery equipment and slingshots. Tourists who are coming here for adventure exploration and scientific expeditions should also understand, respect and realize that the laws of territories within tribal indigenous regions differ from the national laws, they must be permitted by individual indigenous tribes to be allowed to cross or access over 60% of the Amazon territories, the state and nations that possess and control these territories are extremely limited in their powers in these territories. There are several hundred different tribes of autonomous indigenous peoples living there now in several thousand villages.